Italian Cinema Today: Marking the anniversary of Italy's Liberation- April 25, 1945 with the film "Anzio"
Marking the anniversary of Italy's Liberation- April 25, 1945 with the film "Anzio"
The Battle of Anzio began in January of 1944 when Allied forces landed on the shores of neighboring seaside towns, Anzio and Nettuno. “Operation Shingle” was aimed at defeating German forces in the area. Initially, the attack was indeed a surprise and the allied forces were able to move inland. But shortly thereafter, the German forces regrouped moving every available troop to higher ground, with a clear view of the allied positions. What followed was one of the deadliest battles of World War II, lasting a grueling four months. 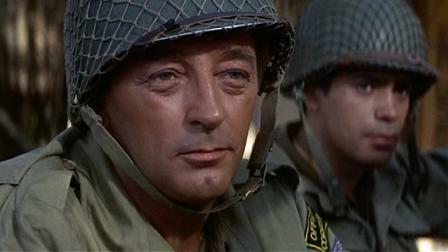 The battle is memorialized in the 1968 movie titled “Anzio,” starring Robert Mitchum and Peter Falk. 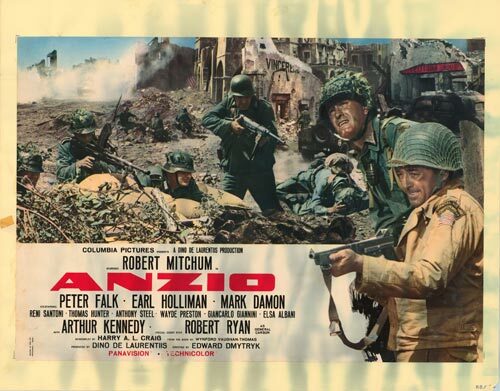 Although the film doesn’t focus as directly on the battle as might expect, it’s entertaining, suspenseful drama that covers the basics before taking you through the war-torn Italian countryside in pursuit of its two main characters, played by Mitchum and Falk. It was a pleasure to see these two iconic actors together in their younger days. Though hardened by war, the brotherhood between the two characters is strong, and it doesn’t take long to connect with them. Adapted from the book “Anzio” by Wynford Vaughan-Thomas, the BBC war correspondent at the battle, the film was made in Italy with an Italian film crew and produced by the legendary Dino DeLaurentis. A joint Italian/American project, it was directed by Edward Dmytryk and Duilio Coletti. The film is available on Amazon.